Protect yourself, your family and pets from ticks in your yard!!! We use a special application of pyrethroid insect control that is sprayed at an extremely low rate in tick habitats(mostly the perimeter of your property where ticks are most likely to enter your landscaped areas). 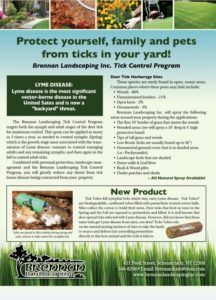 The Brennan Landscaping Tick Control Program targets both the Larva, Nymph and Adult stages of the Deer Tick for maximum control. This spray is applied 3 times during the growing season to control, Larvae(Spring), nymphs(Spring) and the adult ticks(Fall). Combined with personal protection, landscape management and the Brennan Landscaping Control Program, you will greatly reduce any threat from tick borne disease being contracted from your property. 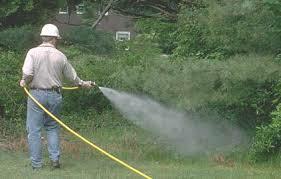 Ticks are generally not found in the lawn but along the perimeter of the lawn near cool damp areas. Packysandra, wood piles, stone walls and tall grass are some of the ticks favorite spots to live. They do not like hot and dry areas. 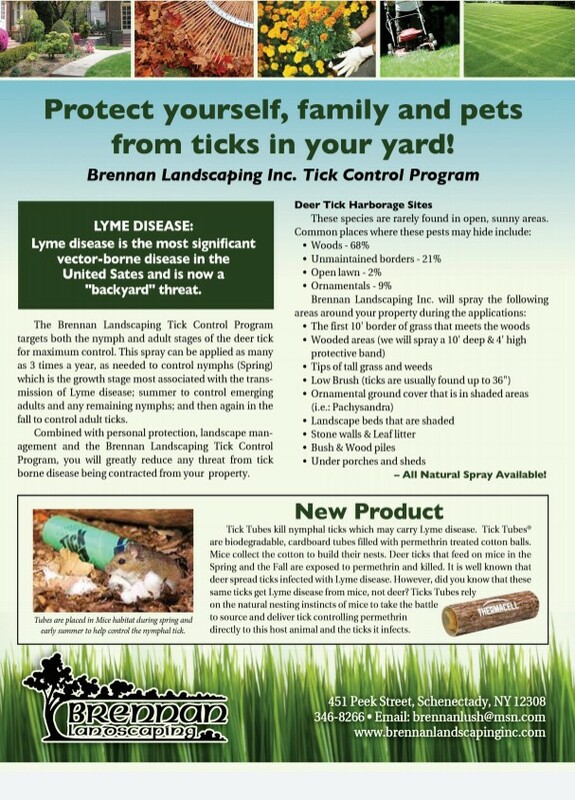 We also offer TICK Tubes as an add-on option. Tick Tubes kill nymphal ticks which may carry lime disease. Tick Tubes are biodegradable, cardboard tubes filled with permethrin treated cotton balls. Mice collect the cotton to build their nests. Deer ticks that feed on mice in the Spring and the Fall are exposed to permethrin and killed. It is well known that deer spread ticks infected with Lyme disease. However, did you know that these same ticks get Lyme disease from mice, not deer? Ticks Tubes rely on the natural nesting instincts of mice to take the battle to source and deliver tick controlling permethrin directly to this host animal and the ticks it infects.